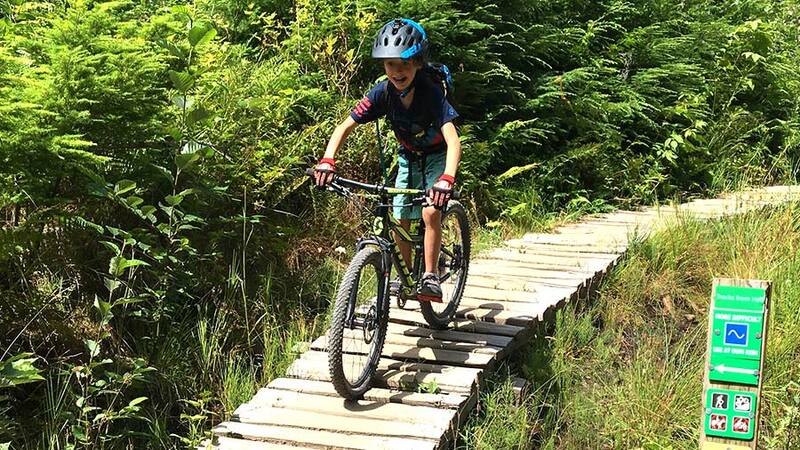 When you’re looking for a new cross country mountain bike for your kid, chances are you want something that is lightweight, stiff, and spec’d with a great drivetrain. That is the exact thought that went into the Scott Scale RC JR 24 mountain bike. 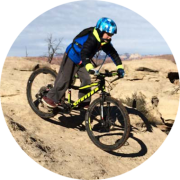 This is a “race ready” children’s mountain bike that can have your little rider flowing along the trails like never before. 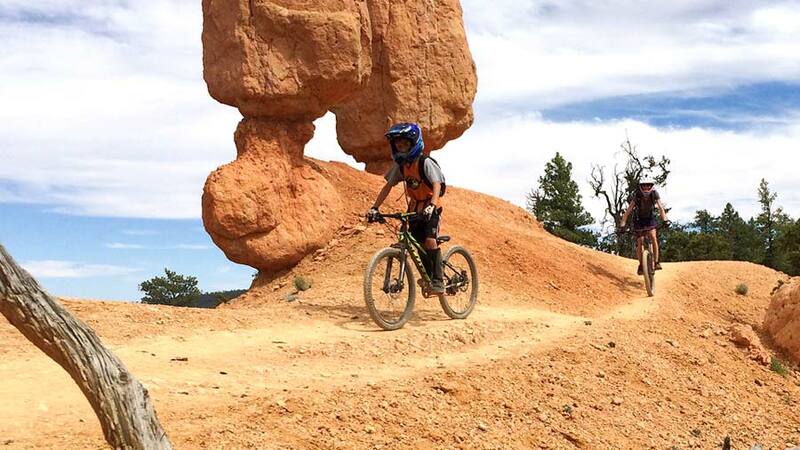 The Scott Scale RC JR 24 cruising along the scenic Thunder Mountain trail near Bryce Canyon. Stock Weight: 23.0 lbs. We’ve added a Suntour XCR air fork and converted the tires to D-I-Y tubeless. Race ready is a strong way to describe any bike, but for the most part, this Scott bike lives up to the expectations. There are a couple of things that you may need to change depending on your child. For example, the pedals are the typical inexpensive plastic pair that comes with most bikes. The other thing that might need changed is the fork. For smooth paths the rigid fork will be fine. However, our little mountain biker needed a fork with suspension to help absorb some of the nastier terrain found on trail rides. 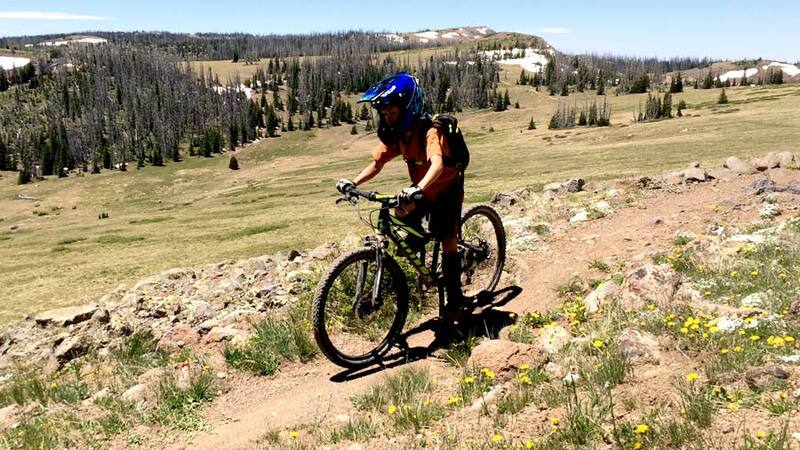 Overall the bike is a solid build that will encourage natural progression. Let’s start off with the frame. It is constructed out of 6061 aluminum that is double butted to increase strength around high stress areas. As a result, the frame is super light and a great platform for the build. Another nice thing about this frame is the curved top tube. You will notice that when looking at the bike, the tube has a flat spot in front of the seat before bending upwards to the head tube. This makes it easy for little riders to swing their leg over the bike when getting on and off. Next is the drivetrain. It is a simple yet efficient 1×10 speed set up. This means that there is only one chain ring at the front and 10 gears at the back. Our rider loved the simplicity of only having one shifter to worry about. 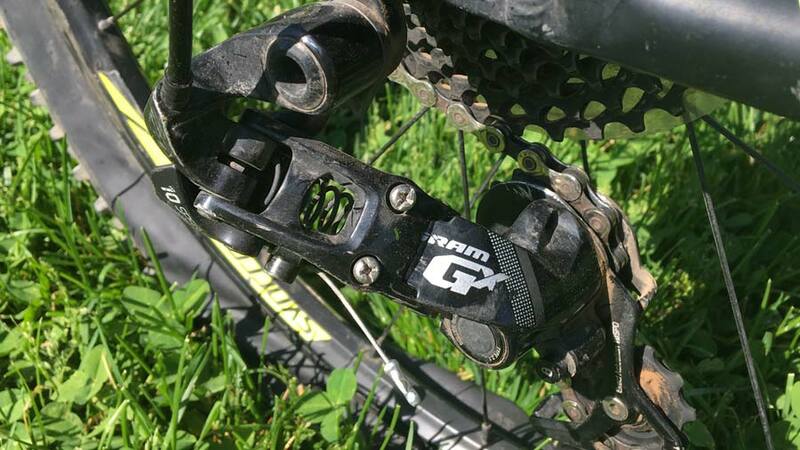 The shifter itself is a SRAM X5 trigger shifter which seems to work quite well with the SRAM GX rear derailleur. The wide range cassette offers quite a good array of gears enabling your child to ride at a fair pace, and climb and descend hills with ease. A bike encouraging your child to pick up their pace can be nice. However, without good brakes, it could get a little bit scary for us parents. 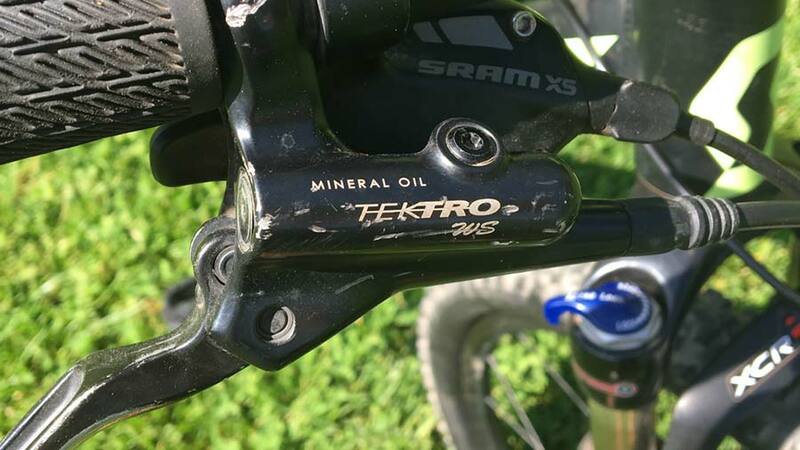 Thankfully Scott took this into consideration and gave the bike Tektro hydraulic disk brakes and 60mm rotors to make sure there would never be a problem slowing down. It is especially nice that they used hydraulic brakes over cable as it gives the young ones a chance to control the braking power rather than just being on and off like most cables brakes. This bike has been designed to fit riders from ages 8 to 10 and is offered in one frame size. It is based around 24” diameter wheels. These work well for short riders because they don’t raise the height of the bike too much. Another great feature about this Scott is that it only weighs about 23 pounds. Most children’s bikes are a fair amount too heavy for them. And, they can tire your kid out quite quickly. This bike on the other hand can be tossed around easily by children on a ride. You’ll immediately notice that they can ride for longer when on the Scott compared to many other bikes. Kids don’t want boring looking bikes. They want color and a design that will make others double take. This Scott is surely a looker (even from an adult’s perspective). It has clean lines, and a head turning black and neon yellow paint job. It just looks fast, and our rider loves that. Even the Syncros components have been color matched to the frame. This bike gets two thumbs up in the style department. 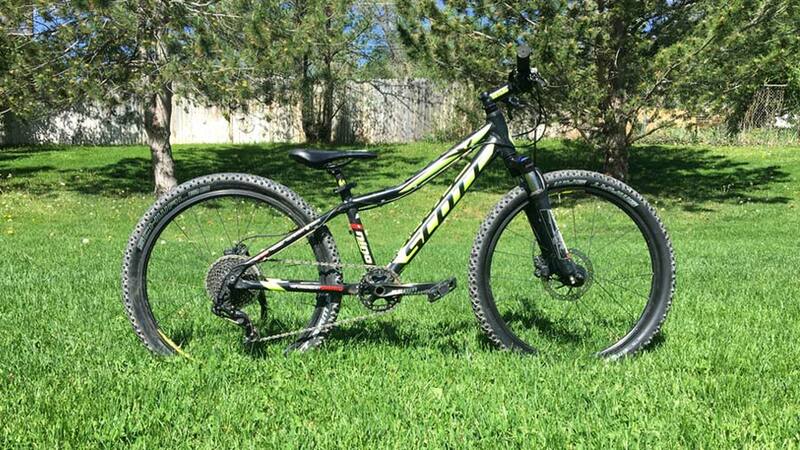 The Scott Scale RC JR 24 does great across moderately technical terrain. 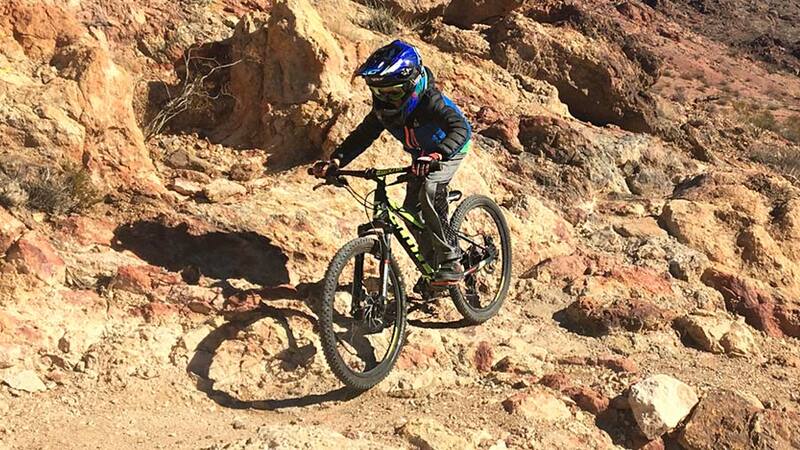 We added an air fork so our kiddo could challenge the chunk of Bootleg Canyon's SD trails. 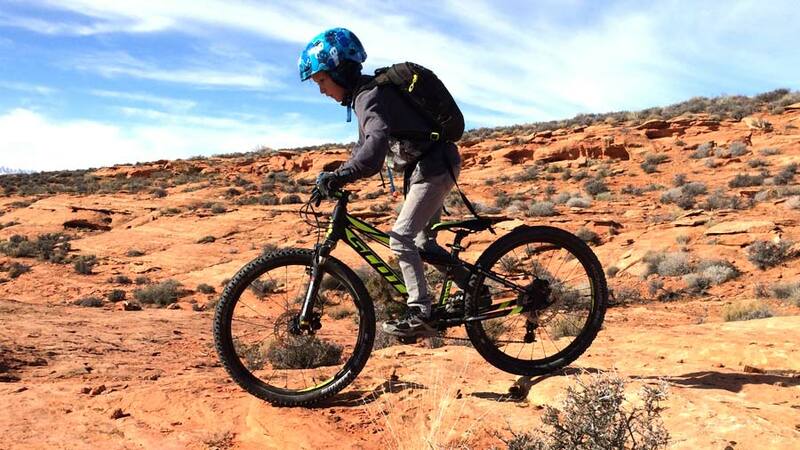 We chose to put front suspension for on our rider’s bike as he is no stranger to rough terrain. In fact, he tends to gravitate towards it. Unlike most kids’ forks, this Suntour is something that really works well for lightweight riders. Since it is air sprung you have the ability to adjust the air pressure for their weight. 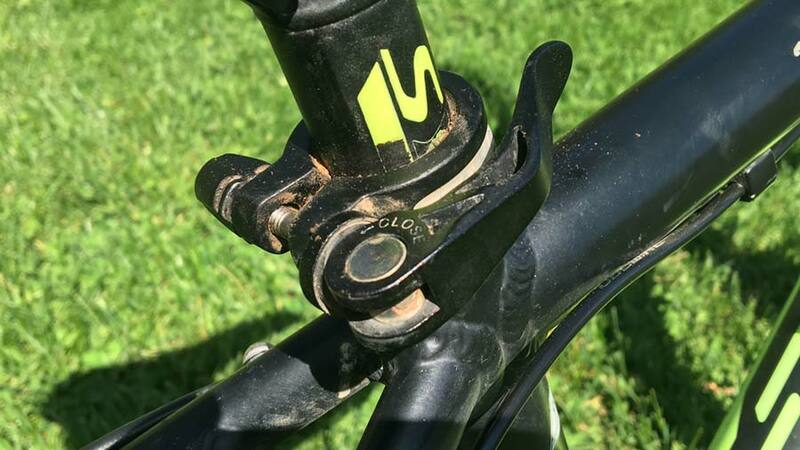 Once the air pressure is set, you can easily make smaller adjustments to the preload via a knob on top of the right fork leg. Fully extended, the fork offers 80mm of travel but is internally adjustable via spacers to offer as little as 63mm. The XCR children’s air fork turned out to be the perfect complement to the already capable Scott Scale RC JR 24. Confident and comfy bike control is exhibited on the Scott Scale RC JR 24. The Scott Scale RC JR 24 is a true cross country bike. It looks fast, and rides extremely efficiently under the power of little legs. Depending on your child, upgrading the fork might be a good option for you. However, this is personal preference and many kids will not need it. Our rider loves the bike and always has a good time on it. If spending a little more than average money makes every trail ride that much more enjoyable, then it is worth it in our minds.